At Corporate Four, we provide custom insurance solutions for busy entrepreneurs, business owners and families, so they can keep doing what they do best - running their operations, making money and enjoying their home life. Insurance is a complex industry but our agents stay on top of the latest research, trends and options open to you - both insurance and non-insurance - to craft the best solutions for your specific needs.  Our independent status gives us true freedom to choose insurance programs and policies that meet your preferences, not ours. Your agent will represent you to carefully chosen insurance providers to find the best product at the best price for you, your family and/or your business. We've been an innovator in Twin Cities insurance since 1988, and our unique approach has allowed us to grow to meet even more customer needs through the years. Our staff, with an average of 20 years’ experience, is knowledgeable, ethical, efficient and easy to work with. Call 952.893.9218 to learn more about Corporate Four and let us create an insurance plan that fits your life and your business! Gary is a partner of Corporate Four Insurance Agency who started his insurance career in 1980 and then joined Corporate Four in 1997. Gary writes a wide range of clients, medium sized to larger multi-state operations with a specialty in Non-Profits. Glenn has been an owner at Corporate Four since 1992. Prior to that he worked as a commercial underwriter. He specializes in Bowling Centers, Auto Repair Shops, Restaurants, Bars, Manufacturers and Wholesalers. Mike is an insurance broker with over 25 years of broad experience in all aspects of business and personal insurance. His articles have been published for risk management topics relating to the construction industry. He specializes in all lines of insurance for residential homebuilders, all types of trade contractors, and specialty programs for most "main street" businesses and personal insurance (auto, home, life). Cindy started her insurance career in 1992. With over 25 years of experience in the insurance industry, Cindy has found her niches are in Contractors, Mobile Home parks, personal insurance and all forms of Hospitality, although she enjoys helping her clients with all types of insurance. Bob started in the insurance business in 1982 and joined Corporate Four in 1996. As a partner, he is very active in the overall daily operations of the agency. He specializes in both Personal and Commercial lines Insurance and has many longtime customers. Dwight is a partner here at Corporate Four Insurance. He has been in the industry since 1983 and joined his father here at Corporate Four in 1991. He attended the University of Minnesota and received an MBA. Dwight writes a broad range of industries with a specialty in transportation industries. Jim joined Corporate Four in 1990. He specializes in Associations, Schools, Churches, Property, Products and General Liability, Workers Compensation, Hospitality including Liquor and more. Jim is a University of St. Thomas graduate. Jim was selected as an 'Agent in Twin Cities Business Insurance & Benefits Professionals as an agent who scored highest in overall satisfaction. Jim is a specialist in both business and personal insurance. His 33 years experience have taught him the importance of personal relationships and he prides himself in providing every client the "personal touch." As a Certified Insurance Counselor (CIC), Jim maintains a high standard of excellence and continuously strives to improve through education. You can count on Jim to find you the business or personal insurance protection you need at the lowest price possible.